Gabriel Arana is a contributing writer at Salon and a contributing editor at The American Prospect. To contact him, visit his website. 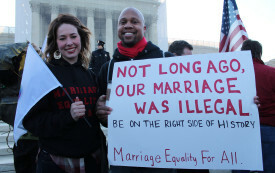 By this time next year, marriage equality will be the law of the land.